NEW YORK -- A leading AIDS researcher will be the next director of the U.S. Centers for Disease Control and Prevention, the federal government's top public health agency. Dr. Robert Ray Redfield Jr., who rose to prominence in the 1980s as a top researcher into the emerging AIDS epidemic, was named to the post Wednesday by U.S. Secretary of Health and Human Services Alex Azar. "Dr. Redfield has dedicated his entire life to promoting public health and providing compassionate care to his patients," Azar said in a statement. Redfield's appointment doesn't need Senate approval, and he'll start at the CDC on Monday. Public health leaders who spoke to The Associated Press about his appointment all voiced hope that he will be able to protect CDC's budget and programs. Redfield didn't immediately comment on Wednesday's announcement. Redfield will replace Dr. Brenda Fitzgerald, a Trump administration appointee who resigned in January after about six months on the job. Fitzgerald, who had previously run Georgia's state health department, was embroiled in unresolved financial conflicts. HHS officials ultimately said her investments were affecting her ability to be involved in issues like cancer and the opioid crisis. In the 1980s, Redfield was working at the Defense Department's Walter Reed Institute of Research when he became a leading AIDS researcher. He has been counted as among the first to demonstrate the AIDS virus could spread among heterosexuals, and argued early in the epidemic that AIDS wasn't a threat only to gay men and injection drug users. One of the whistleblowers who first raised those concerns told Kaiser Health News this week that he remains troubled by Redfield's handling of the research. "Either he was egregiously sloppy with data or it was fabricated," former Air Force Lt. Col. Craig Hendrix, a doctor who is now director of the division of clinical pharmacology at Johns Hopkins University School of Medicine, told the health news service. "It was somewhere on that spectrum, both of which were serious and raised questions about his trustworthiness." Redfield also drew criticism from public health leaders for endorsing the isolation of infected soldiers, and for calling for mandatory HIV testing of soldiers and health care workers — even though the CDC and the U.S. surgeon general thought such measures could lead to discrimination and likely wouldn't halt spread of the disease. Redfield also held views at odds with the public health community regarding the value of condoms and needle exchange programs to stop the spread of the virus, Jon Cohen reported in his 2001 book about the search for an AIDS vaccine, "Shots in the Dark." Cohen noted that in a forward to a 1990 book, Redfield wrote: "It is time to reject the temptation of denial of the AIDS/HIV crisis; to reject false prophets who preach the quick-fix strategies of condoms and free needles; to reject those who preach prejudice; and to reject those who try to replace God as judge." Sen. Patty Murray, a Democrat from Washington, cited some of that history in a letter this week to President Donald J. Trump. 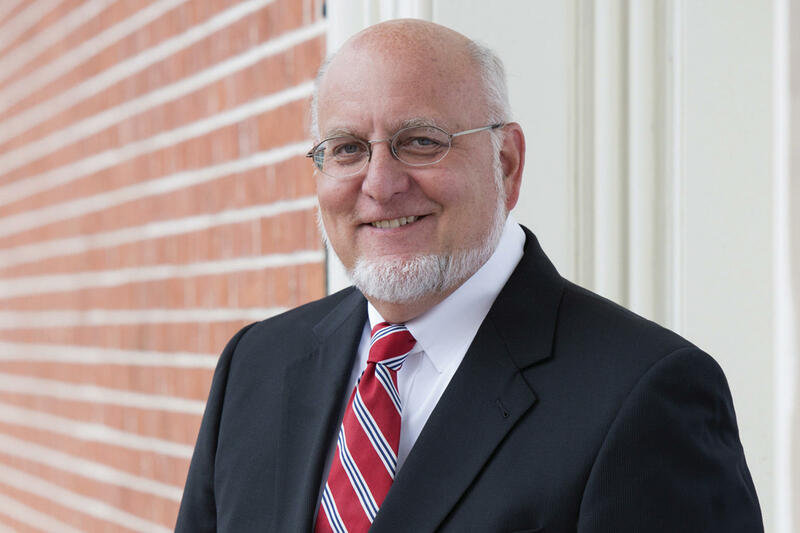 "I hope you will reconsider Dr. Redfield as a candidate for CDC Director and instead seek a candidate whose experience and positions lend credibility to the nation's critical public health work," Murray wrote. On Tuesday before Dr. Redfield was named to the position, Dr. Peter Lurie, president of the Center for Science in the Public Interest, released a statement saying the appointment "would be disastrous." "What one wants in a director of the Centers for Disease Control and Prevention is a scientist of impeccable scientific integrity," Lurie wrote. "What one would get in Robert Redfield is a sloppy scientist with a long history of scientific misconduct and an extreme religious agenda. We urge the administration not to appoint Dr. Redfield." "We need somebody there who's going to be defending the CDC. Someone who is going to be managing up, to manage the administration, to manage Congress, and to ensure there's adequate funding for CDC," del Rio said. John Auerbach, president of Trust for America's Health, a Washington, D.C. based public health research and advocacy organization, said: "The most important thing is his ability to go into the agency, get up to speed, and make the case for CDC and its vitally important work. If he's able to do that, ultimately that's how his leadership will be judged."